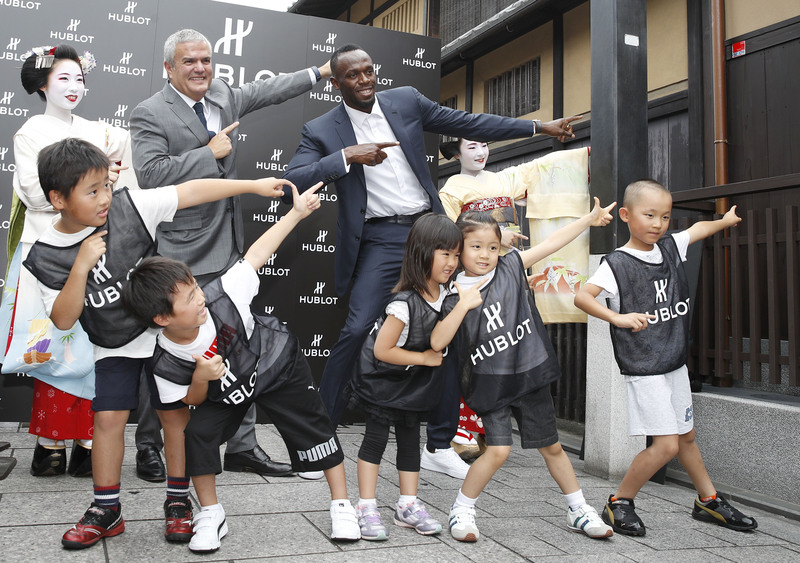 The world's fastest man Usain Bolt delighted local children and "maiko" in Kyoto on Tuesday, with his trademark "lightning bolt" pose as he attended a promotional event for Swiss watchmaker Hublot. The Jamaican sprint legend is on his first trip to Japan since retiring in August following the world athletics championships and the event in the former Japanese capital drew a huge crowd. Bolt, multiple world record holder and gold medal winner, said he gave his all in competitive sprinting and that he would like to try something new from now on. 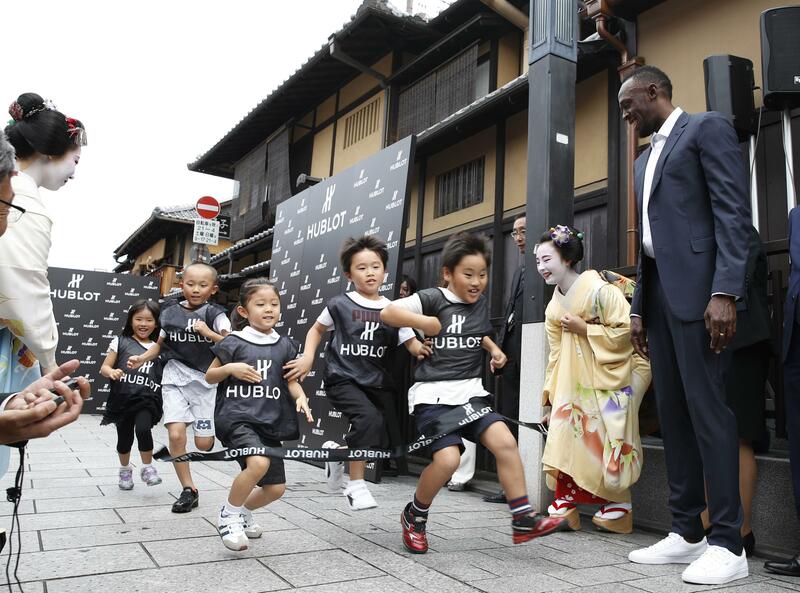 Usain Bolt poses with children and apprentice geisha at the event in Kyoto's traditional Gion district. Children put in their best sprints as athletics legend Bolt watches on. 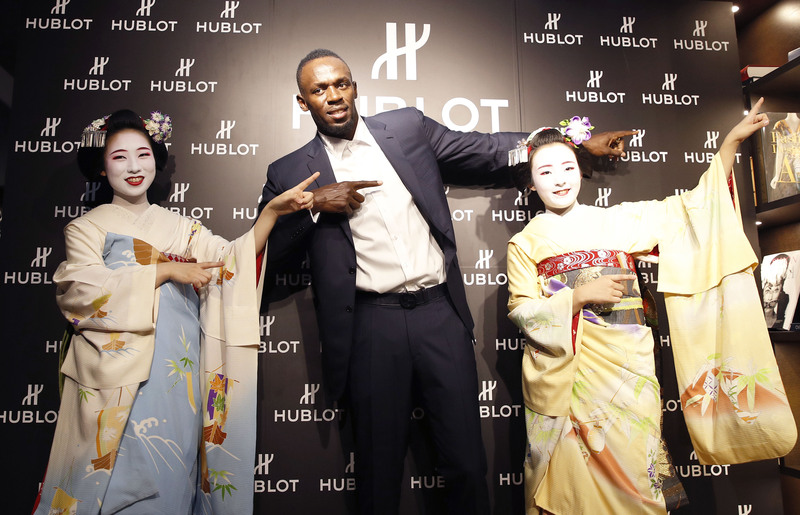 Bolt poses with young apprentice geisha, known as maiko. The Gion district, where maiko and geisha work, is a major tourist attraction in Kyoto where many visitors hope to get a glimpse of the traditionally dressed women as they go about their day. 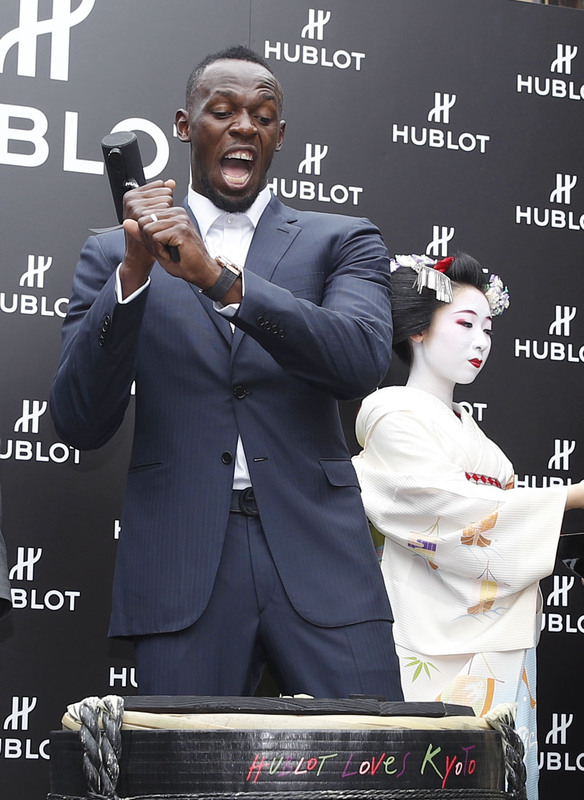 Bolt opens a barrel of sake during the promotional event.